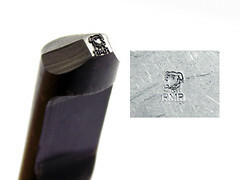 Punch engraved on flat is useful both to mark inner ring as another type of parts. 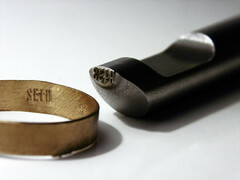 Punch engraved surface curve specialized for interior rings mark. 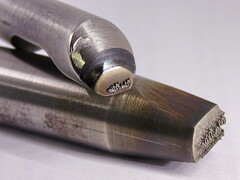 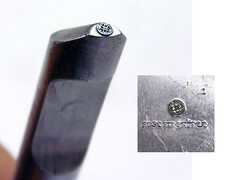 Flat punches with ring slot, serve for both, marking rings and flat pieces, when the extent of the mark does not exceed 2mm of width. 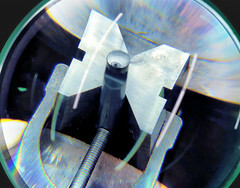 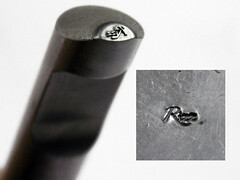 Greater than 2mm measures requires the custom punch jewelry engraving on curved surface with ring slot. 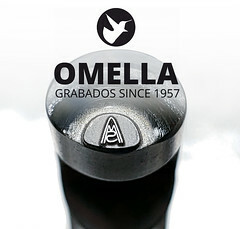 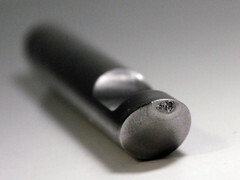 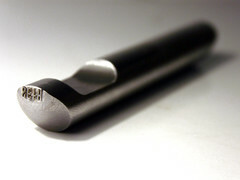 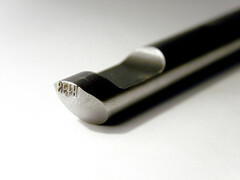 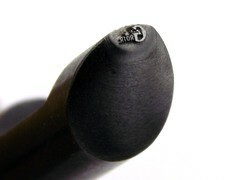 Omella Steel Stamps produces custom contrast punches for rings with jewelry signatures, logos or codes.